A commercial property policy covers buildings and personal property owned by your business. 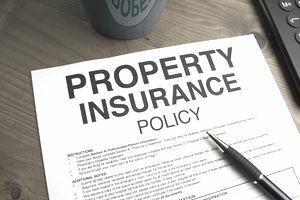 Some property insurers utilize policy forms developed by ISO. Others utilize forms they have developed themselves. Many policies drafted by insurers are based on the standard ISO property policy. Thus, most property policies follow the same general format. This article explains how a typical policy is structured. The first section of a policy is often entitled “Coverage.” It describes both "covered property" and "excluded property." It also includes some Additional Coverages and Coverage Extensions. Property policies cover two basic categories of property: Buildings (also called real property) and Business Personal Property (BPP). If you own the building in which your business operates, then your policy should cover both the building and the BPP it contains. If you rent or lease your building, then your policy will likely cover only your BPP. Building coverage normally includes machines and equipment that are permanently installed, such as a furnace, a boiler, and air conditioning equipment. Also covered are fixtures, meaning property that is permanently attached to the building, such as a built-in bookcase or cabinet. Floor coverings, appliances (like refrigerators and dishwashers), fire extinguishers, and outdoor furniture are also normally considered Building property. Many (but not all) property policies also exclude building foundations, paved surfaces (like walkways and roads), electronic data, and the cost to restore information on valuable records (both electronic and hard copy versions). Most property policies automatically include certain "additional coverages." These cover losses that would otherwise be excluded. Additional coverages are typically covered subject to a sublimit (a limit less than the policy limit). For example, virtually all policies add coverage for Debris Removal, meaning the cost of removing debris of covered property that has been destroyed by a covered peril. However, the insurer may pay no more than a specified amount. Other coverages that are commonly included as Additional Coverages are Pollutant Cleanup, Electronic Data, Fire Department Service Charge, and Increased Cost of Construction. “Coverage extension” means a coverage that is already provided by the policy but that is extended in some way. For example, most policies extend Building and Personal Property coverages to include Newly Acquired Property. Your Building coverage is extended to include new buildings constructed at your existing location as well as new buildings acquired at a different location. Your BPP limit is extended to cover new personal property at new locations or at the existing one. A sublimit usually applies to each of these extensions. The coverage extensions provided can vary widely from one policy to another. Most policies include, at a minimum, the extensions provided by the ISO form. These include Personal Effects and Property of Others, Valuable Papers and Records, Property Off-premises, Outdoor Property, and Non-owned Detached Trailers. “Causes of loss” or perils may be addressed in the same form as the coverages or in a separate policy form. Most commercial property policies are written on all-risk forms. An all-risk form covers all perils that are not specifically excluded. It does not cover every risk. The "causes of loss" section of an all-risk policy lists the perils that are excluded. An alternative to an all-risk policy is a named perils policy. The latter covers only the perils listed in the policy. The exclusions that are subject to anti-concurrent causation language are usually listed first. These typically include Water (Flood), Ordinance or Law, and Earth Movement. The “anti-concurrent causation” wording states that these exclusions apply regardless of any other cause or event that contributes to the loss at the same time or in any sequence to it. That is, a loss caused by any of these perils is excluded, even if another (covered) peril contributes to the loss. Also, consider the cleanup aspect of loss. The limits that apply to your policy are explained in the Limits section. The limits are listed in the declarations. A single blanket limit may apply to all buildings and BPP combined. Alternatively, separate limits may apply to buildings and to BPP. Smaller limits (sublimits) may apply to the coverages listed as Additional Coverages or Coverage Extensions. The Deductibles section explains the deductibles that apply under your policy. Any loss covered under your Building or BPP coverage is typically subject to a deductible that applies to each occurrence. Additional deductibles may apply to specific coverages such as Business Income (Interruption) Coverage. Your property policy is likely to contain two sets of Conditions. The first consists of Loss Conditions. These conditions explain how your losses are calculated and paid. Other conditions may address issues such as coinsurance, the rights of mortgagees, and non-renewal of your policy. If replacement cost coverage is not included in your policy automatically, it may be available as an Optional Coverage. If replacement cost is covered automatically, then Actual Cash Value coverage may be offered as a coverage option. Other coverage options that may be included in this section are Inflation Guard and Agreed Value coverages. Your policy will also contain definitions. The Definitions Section outlines the meanings of defined terms. The Definitions may appear the same form as the coverages or in a separate form.